If your order weighs less than 13 ounces, save huge on shipping with USPS first class (with tracking number). This product weighs 3.8 oz. 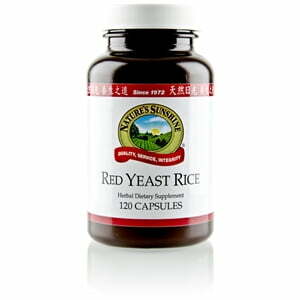 Nature’s Sunshine Red Yeast Rice helps regulate already normal cholesterol levels and nourishes the circulatory system. 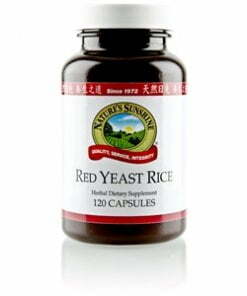 Red Yeast Rice, or Monoascus purpureus, assists in the production of good cholesterol in the liver. A capsule of Red Yeast Rice contains 600 mg.
Because red yeast rice may interfere with liver production of coenzyme Q10, Red rice should be taken in conjunction with a coenzyme Q10 supplement.